Hyperammonaemia is a common complication of liver disease in dogs. High concentrations of ammonia can be detrimental to dogs with liver disease for several reasons, notably by causing hepatic encephalopathy (HE) which describes the wide range of neurological abnormalities ranging from altered behaviour to seizures that are well recognised complications in dogs with hepatic disorders. In human patients with liver disease, hyperammonaemia has also been linked to the development of other systemic complications such as dysregulation of the innate immune system. In contrast, the effects of hyperammonaemia on the canine innate immune system is currently unknown. 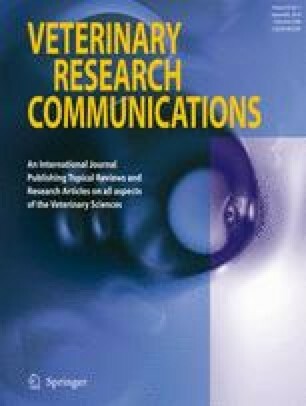 The aim of this study was to investigate the effects of ammonia on the oxidative burst activity of canine polymorphonuclear cells in vitro. Blood obtained from healthy dogs (n = 8) was incubated with escalating concentrations of ammonia ranging from 0 to 250 μM, and the percentage of cells experiencing an oxidative burst was evaluated using a commercial kit (Phagoburst™) and flow cytometry. The spontaneous oxidative burst was evaluated without stimulation and also following stimulation with E coli. The pH of the blood was also measured at the differing ammonia concentrations. There was an increase in the percentage of cells experiencing a spontaneous oxidative burst from ammonia concentrations of 125 μM (p = <0.05) and above (p = <0.01), with a 4.9 fold increase at 200 μM (p = < 0.001). In those cells stimulated with E coli, incubation with increasing ammonia concentrations did not result in a significant difference in oxidative burst from baseline (p = 0.953). There was no statistically significant difference between the pH of the blood at the various ammonia concentrations (p = 0.2) suggesting that the difference in spontaneous oxidative burst was due to the ammonia rather than simply a change in pH conditions. In summary, the spontaneous oxidative burst of neutrophils was significantly increased from baseline. This supports a potential role of ammonia in contributing to innate immune system dysfunction in dogs with liver disease, and may present a future therapeutic target.